Dr Sigurdsson graduated from University of Iceland in 1983 and undertook higher surgical training in Upper GI Surgery in the UK from 1988 1999. He was a NHS Consultant Surgeon in Upper GI and Bariatric Surgery from 1999 - 2014 in Shropshire UK. 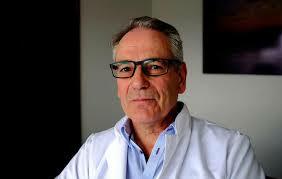 Since 2014 he is Director of Gravitas Health Iceland as a Consultant Metabolic Surgeon in private practice in Iceland.